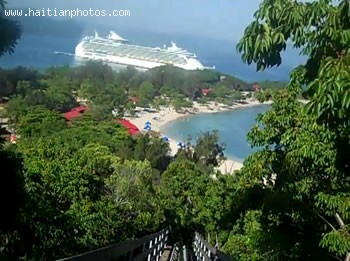 This is a picture taken of Labadee in Haiti. 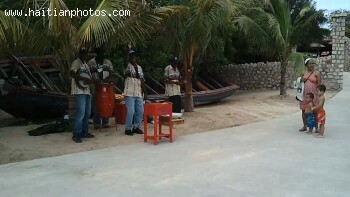 The potential for tourist activities and its capacity to bring much needed income to haiti is huge. Haiti has a gorgeous beach. The Labadee resort offers plenty of activities to the guests, hammocks for soaking up the sun and a local artisans' market. 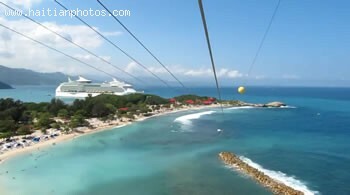 Here is a view of Labadee while on the Zip line. 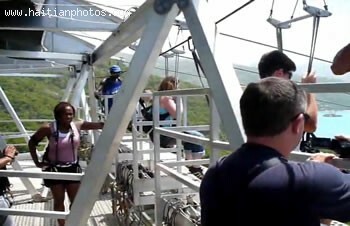 The ride is fun and excilting. 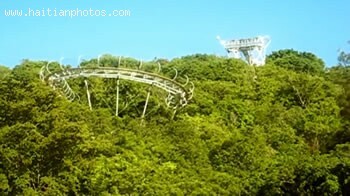 It is also a good way to enjoy the view which is quite spectacular. Malfini Beach is a secluded area in Labadee, Haiti. The water is gorgeous. There are many things in Malfini Beach in Labadee that will make you enjoy your stay, such as kayak you could take out with a glass bottom. You have an opportunity to explore the coral reefs in this beautiful part of Haiti. A bar close by will help you keep you cool and friendly. A vie of Labadee Haiti from the sea. This is spectacular view in any way you can imagine. It is the ideal destination for the visitor. For a country so poor such as Haiti, the impact of a company such as Royal Caribbean does not make a dent in the local economy.